Part 1 of this explosive paranormal thriller sees Daniel Bonner unwittingly sell his soul to the devil. A simple altruistic act sees him become the nemesis of the Devil's own Chancellor, who unleashes the very demons of hell to destroy him and all he comes to love. How will Daniel beat the Devil at his own game? 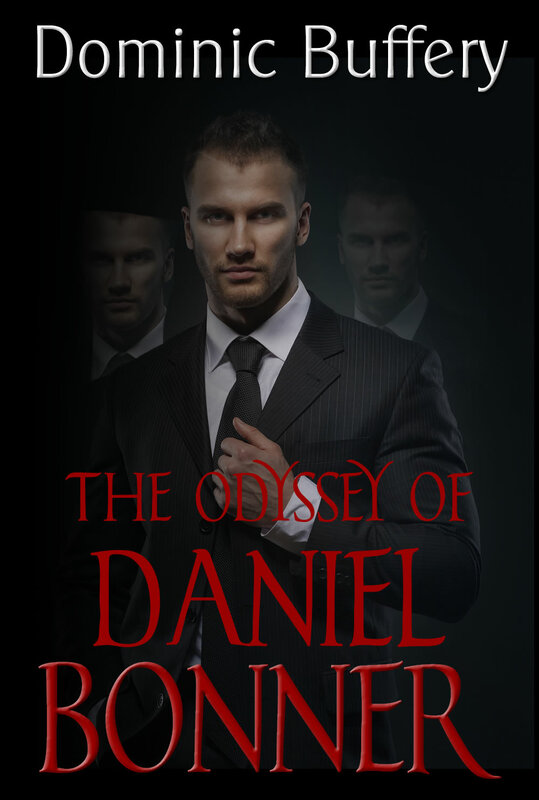 Can Daniel Bonner beat the demons sent to kill him by the Devil’s right hand man..? He stood abruptly and Tobacco fell from his lap without ceremony and slunk into the darkness in a true huff and away from the big man’s sudden pacing. Every instinct in Daniel’s head screamed alarm, every nerve end had become active to what he now knew was a menace, stalking his tiny world, an imminent danger to be ignored at his peril. The book was not only a horror story from the ancient past but more of what he now believed to be a dire warning on a personal level. He stared over the flames of his fire and into the wall of darkness beyond. He stood silent as a statue scanning left and right with eyes being his only movement. At the perimeter of heather surrounding his camp a minute alteration in shade caught his attention. He raised his arm shielding the firelight from his eyes and looked over the horizon of his hand and in the flickering shadows he saw further movement. With rapid eye movement he was able to increase his night vision, a little trick from Windrow’s school of learning and he wondered when they had last enjoyed rabbit. He studied the doe grazing in the uncertain light, her long ears constantly scanning for danger. Periodically she looked up checking her immediate proximity with large auburn eyes before dropping back to resume her nocturnal feeding. Daniel reached for the Hummer, momentarily putting his fears to the back of his mind. Spit roast rabbit would be on tomorrow’s menu. He moved smoothly, studying the range and size of the target. It would be an easy kill. The weight of the Hummer felt good in his grip and he cocked his arm. He was about to let loose when something in the backdrop of undergrowth placed the doe in instant readiness for flight. She thumped her hind legs against the hard ground, a warning to others of danger but within the blink of an eye something unseen snatched the luckless animal in a blur of savagery dragging it convulsing and kicking into the undergrowth. The speed of the dispatch deceived Daniel’s night eye and the doe’s death scream was eerie and startlingly pierce. Seconds later the rabbit pelt was jettisoned hot and steaming from the thicket to land at Daniel’s feet. He squinted into the impenetrable undergrowth, the Hummer poised at the ready. It was then that Tobacco squeezed through the barrier of undergrowth on the opposite side of the arena, in what even for her low pedigree was the classic stance of the trained pointer. ‘Stay away,’ hissed Daniel but Tobacco, with excitement for the hunt dispensed with the stalk and bounded forward on her short powerful legs to flush out the hidden killer. Whatever it was had her full attention and even Daniel’s sharp command could not halt her charge. A disconcerting hush descended as she disappeared into the scrub before a scene from hell broke loose. Two fighting bodies, the larger being that of Tobacco burst from the undergrowth, snapping, clawing and biting amidst unholy noises from the world of the beast. In the firelight Daniel identified claw and fang, glistening scales, stumpy bat-like wings and a scorpion tail. The dreadful legend had come to life. To call Tobacco again would be a distraction that could prove fatal for his dog. Without a second thought he drew back his arm and pumped the Hummer forward. It cart-wheeled towards the fighting pair with its characteristic low tone and struck the Tarquill with bone shattering impact. It had been a desperately lucky shot, breaking every bone in the creature’s spine and Tobacco sprang away from the fight, ruffled and bloodied. Read more to find out..